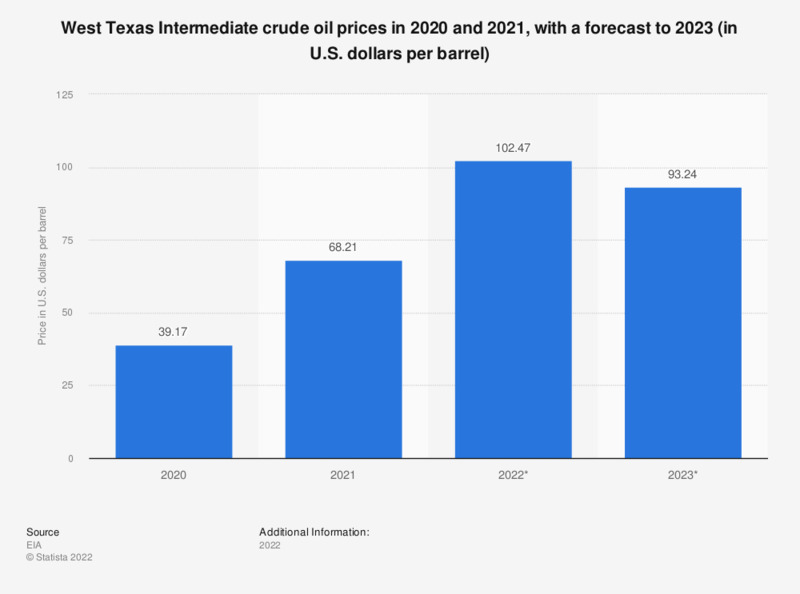 This statistic displays the West Texas Intermediate crude oil prices for 2014 to 2018, and provides forecast figures for 2019 and 2020. The price for West Texas Intermediate (WTI) crude oil stood at an average of 65.06 U.S. dollars per barrel in 2018. In February 2016, the price of WTI decreased to a low of 30.32 U.S. dollars per barrel.